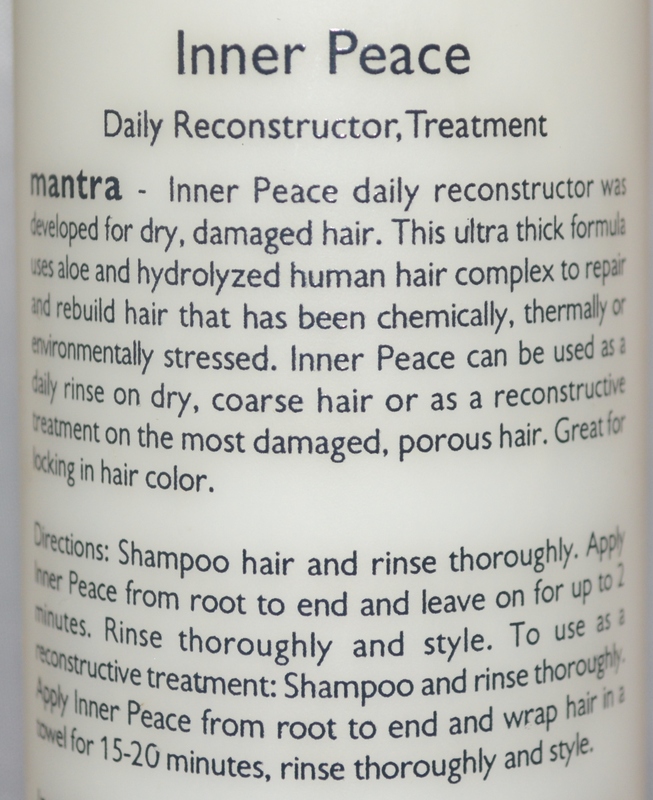 Mantra Inner Peace Color Lock Daily Reconstructor Treatment was developed for dry, damaged hair. This ultra thick formula uses aloe and hydrolyzed human hair complex to repair and rebuild hair that has been chemically, thermally or environmentally stressed. Inner Peace can be used as a daily rinse on dry, coarse hair or as a reconstructive treatment on the most damaged, porous hair. Great for locking in hair color. For Dry, Damaged Hair.